It has been a busy week in Swellendam with tourism activities to organize and plenty of dinners to cook for a very busy guesthouse. No complaints however. Some of our favourite guests are from Essen and this week was the turn of Thorsten and family, who also know the other Thorsten from Essen who celebrated a wedding and honeymoon around the Cape’s finest establishments. 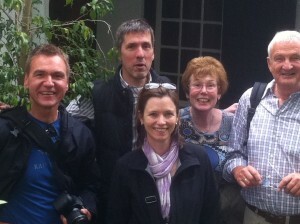 Here they are just before departure. 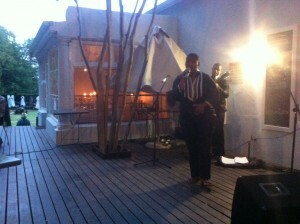 Old Gaol restaurant celebrated 10 years of very successful business this past weekend and it was a dinner to remember. Judi, Michelle and the team served the BEST duck I have ever had and the evening as a wonderful way to unwind and join in the fun. Nicholaas Myburgh, mayor of Swellendam, made a great speech and the guests were mostly local loyal patrons who have all come a long way with Judi. I was particularly interested to learn that Judy carried Nicholaas into church for his christening not that many moons ago. 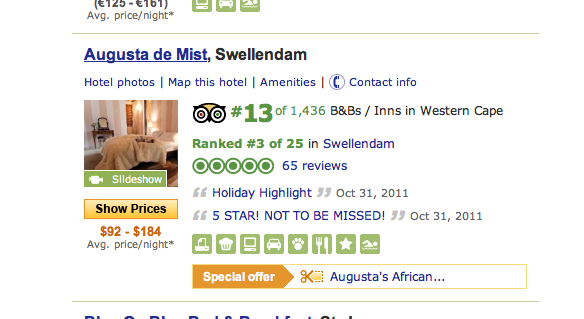 Augusta de Mist has risen to nr 13 on the TripAdvisor Western Cape list. 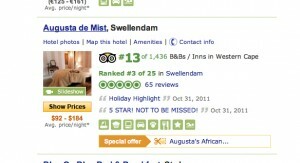 No mean feat considering that there are over 1400 guesthouses in the province. We are very proud of reaching this. Of course TripAdvisor, a peer to peer web phenomenon, thrives on guest reviews and we are lucky that our guests respond well to Augusta. Thank you to all our guests who are helping is grow by giving us honest feedback, good reviews and then spreading the word.